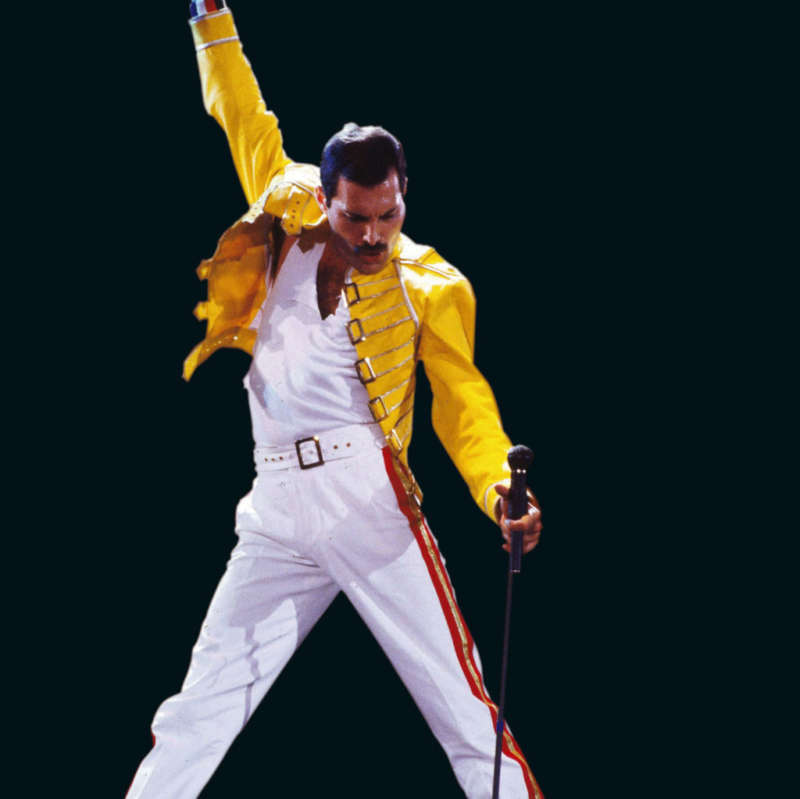 Today is the birthday of queer icon Freddie Mercury, who would have turned 72 if he hadn’t been taken from us far, far too early. But with a new film about his life slated to come out this fall, it’s a perfect time for a new generation to learn about Mercury and his pioneering band Queen. Born in a small town in Zanzibar, Mercury’s true name was Farrokh Bulsara, and he was raised by two Zoroastrian parents from what is today Western India. His childhood, spent mainly in India, was particularly musical: Mercury began learning to play the piano at the age of seven, and by 12 he had started a band called The Hectics. According to those who knew him, he was obsessed with Western pop, and could learn to play songs simply by listening to them. Political violence forced his family to flee when he was 17, and they settled in England where Mercury studied art and graphic design. He continued to pursue music while holding odd jobs at thrift shops and an airport, and bounced from band to band searching for a sound that fit his abilities. 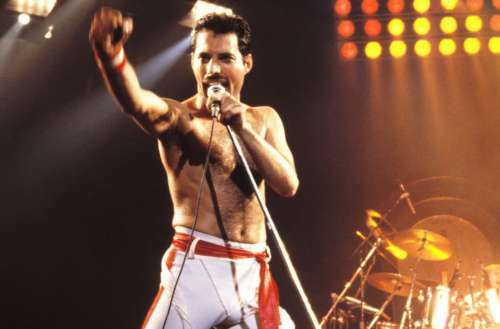 Mercury’s voice was unusual in that he had a particularly wide range, and could tailor his tone to any song. 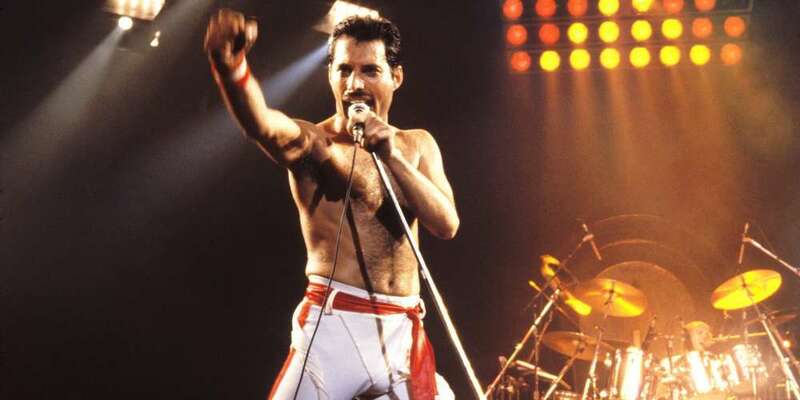 Queen’s works soon became legendary, with Mercury writing most of their hits: “Bohemian Rhapsody,” “Killer Queen,” “Somebody to Love,” “Bicycle Race,” “Play the Game” and more. Throughout his rise to fame, Mercury pursued relationships with men and women. He dated a woman named Mary Austin while the band was forming, then began an affair with a record executive. Though he and Austin ended their romantic relationship after a few years, they remained close, with Mercury saying that he considered her a common-law wife. He also dated actress Barbara Valentin, along with restaurateur Winfried Kirchberger and hairdresser Jim Hutton. 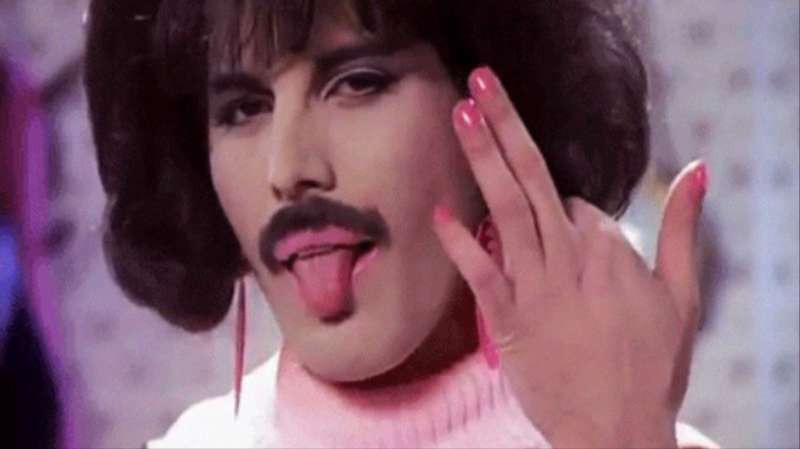 Though he was reputed to have had numerous male lovers, Mercury tended to distance himself from men in public and refused to address his sexuality in interviews. In part, that may have been simply because of the times: homosexuality had only been decriminalized in England in 1967. LIke so many great queer artists, Mercury’s life was cut short by HIV and by the refusal of authorities to address an epidemic affecting queer people. He denied for years that he was living with the virus, though he exhibited physical symptoms. In November of 1991, he issued a statement confirming his diagnosis, and died the next day after discontinuing his medication. A biopic about his life entitled Bohemian Rhapsody will be released in just a few weeks, and it’s already dredged up years-old pain about Freddie Mercury’s death. By remaining silent about his sexuality and status in the ’80s, some feel that he contributed to the stigma and could have done more for public awareness. Similarly, when a description of the film was released earlier this year, it simply mentioned a “life-threatening illness” rather than naming HIV. It’s infuriating to think that after all this time, mass media might still be too squeamish to talk about the realities of queer life — and death.